The agenda for the next Maisemore Parish Council meeting has now been published and is on line here. The meeting will be at 7.30pm on Monday 8th January in the committee room of Maisemore Village Hall. Members of the public are welcome to attend and may take part in the public participation section. They may not, however, speak during the rest of the meeting. 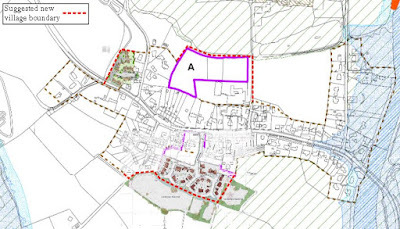 Amongst the items on the agenda is a proposal to ask Tewkesbury Borough Council to re-draw the village boundary to take account of the recent approved developments at Rectory Farm and Bell House Farm. A map of the proposal is here. Councillors will consider whether they want the site marked 'A' on the plan included for possible self-build homes. 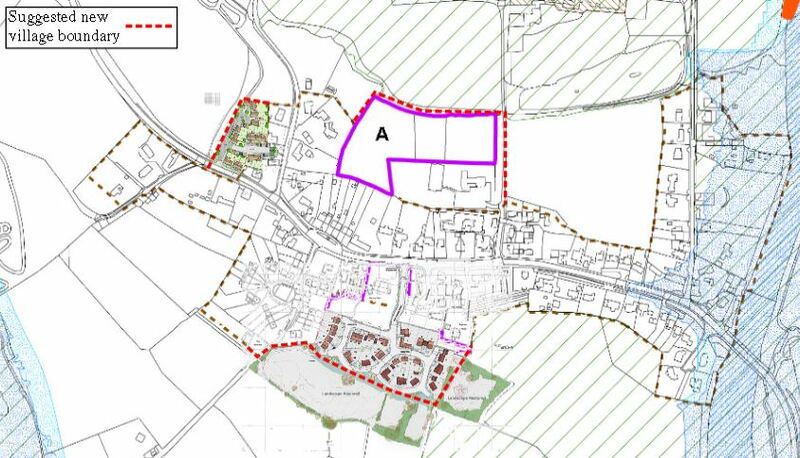 This was a housing allocation proposed in Tewkesbury's draft Local Plan. The alternative proposal is to ask Tewkesbury Borough Council to redraw the boundary without site 'A', and a plan of this can be seen here.